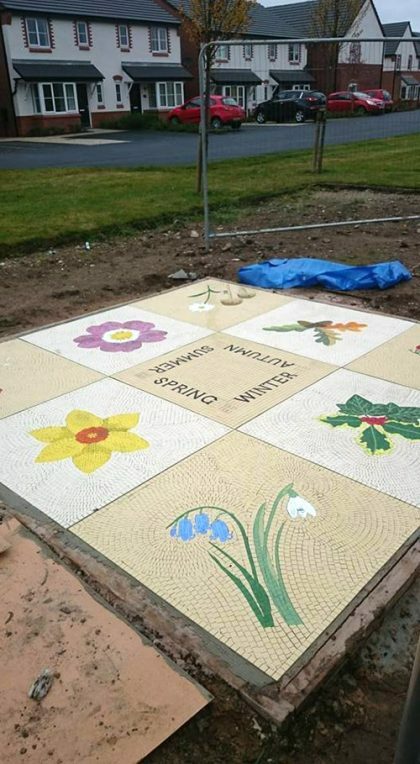 I was commissioned by Bellway Homes as part of Envionmental Associates landscaping plan for the new Housing development for Long Wood Park , Lostock Gralam, for a community engaging art project, that incorporated and enhanced the local surroundings, interaction sessions and educational programme with pupils from both Lostock Gralam Primary school and Northwich Academy. 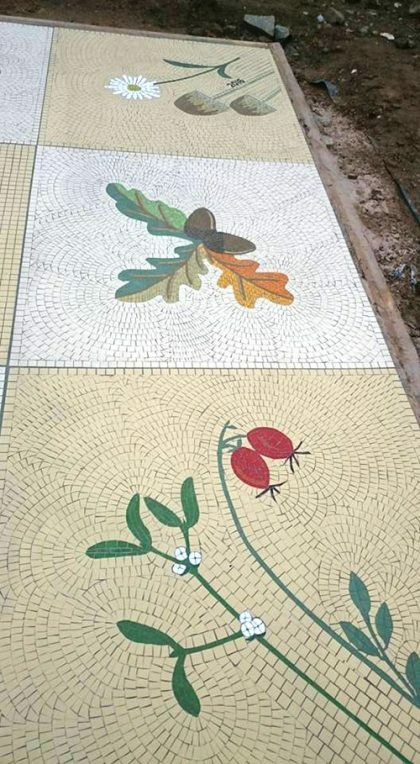 I ran workshops with the pupils to research, sketch native wild life, local fauna and flora based on the ‘four seasons’ that were developed into final mosaic designs. 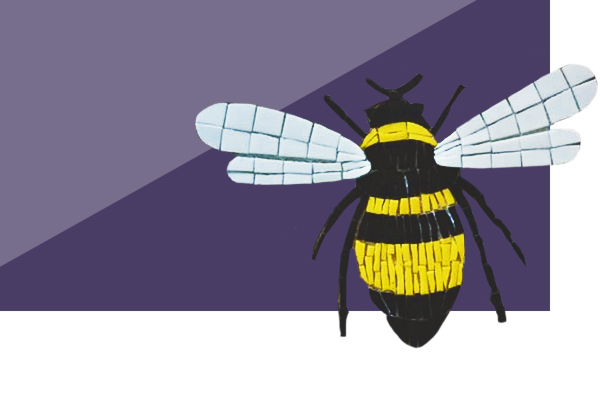 After the final designs were voted on by the public, the final design of ‘four seasons’ was chosen. 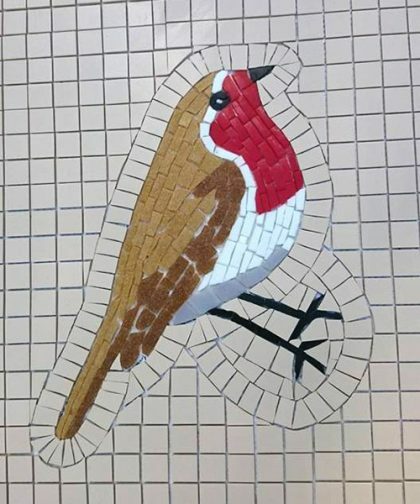 The main floor mosaic is a 3m x3m, with a story of the four seasons around the edges with lettering in the middle. 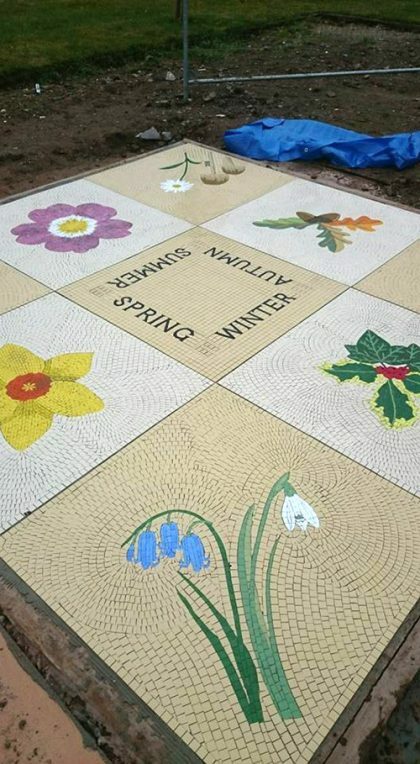 From holly and ivy representing winter, acorns, leaves, mushrooms and rosehips for autumn, roses, daisies, daffodils, snowdrops,bluebells…for spring and summer. 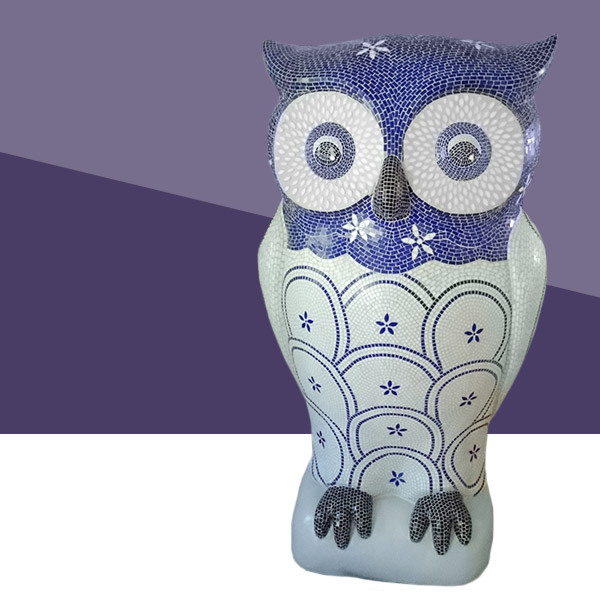 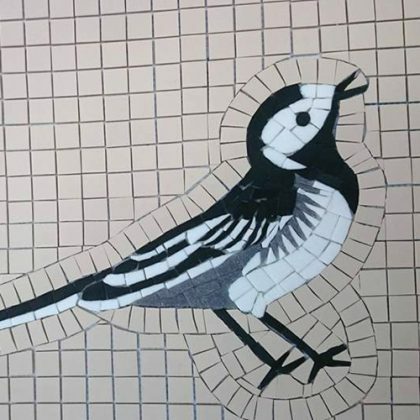 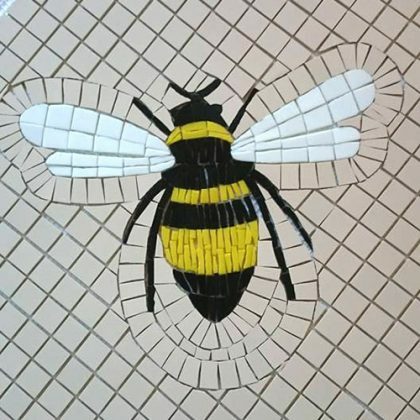 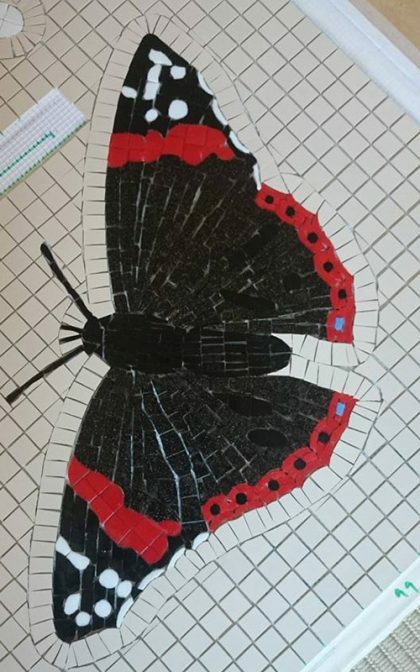 The two other mosaics of 1m x1m each, were mosaiced with native bees, birds, and butterflies that the pupils see regularly and that surround the sculptures set into this area.